It’s Hank’s job to clear the ranch of all intruders--and that includes gophers. 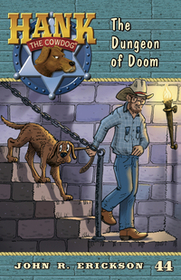 But when Hank’s efforts causes a stampede in the middle of the cattle roundup, Loper decides that he wants Hank to learn some manners, so he’s sending him to--gulp!--Obedience School. To Hank, this sounds like torture, complete with dank dungeons, torches burning on the walls, and menacing instructors who wield etiquette like weapons. Will he survive?